WINNER! Our "Italian Pink" has won GOLD at the Melbourne Fine Foods Awards! For details see our "News" page. This beautiful hard-neck Italian, pink skin variety is generally available between October and March - whilst stocks last. If you are tired of the white, bleached, dry, imported Chinese garlic found in supermarkets you can now purchase beautiful, sweet, lovely-smelling garlic. You’ll taste the difference - ours is home-grown, dense and fresh. Italian Pink garlic produces a medium sized bulb of about 12 cloves per bulb with thin, pink-purple skin. It is a full-flavoured, sweet garlic that lacks the sting of some other varieties and stores well for up to five months, if kept in ideal conditions. As garlic is naturally a slow growing annual crop, it is only genuinely fresh once a year. The cloves are planted out in Autumn - they finally multiply to a new bulb for harvest in October. The garlic is then dried in the air to remove excess moisture and form its dry outer protective skin. If the garlic is kept dry and reasonably well ventilated, this once a year crop will keep for many months. It is however at its very best just after harvest. 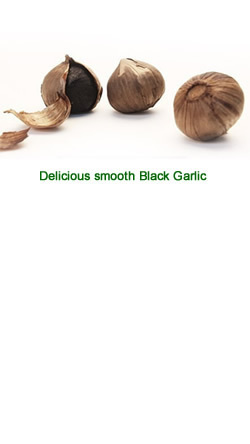 Black Garlic is the new way of enjoying garlic! With its unique and sweet taste, it will become the special highlight of your meals. Use as a side dish, condiment or simply as a snack. It is almost odourless. White garlic is fermented by gentle heat treatment and special humidity. The warmth colours the garlic and activates the garlic’s healthy antioxidants. Imported by Barrington River Organic Farm. Please visit our site to see our current stock. Makes 3.5 litres of olive leaf tea. 5 varieties of Olive Trees provide the leaves. Frontaio, Pendalino, WA Mission, Leccino, Kalamata. Hand picked and sundried. 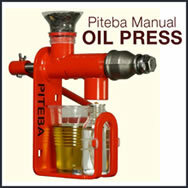 This manual oil press is designed to press oil from nuts such as walnuts, groundnuts and coconuts, and for seeds such as sunflower seeds, sesame seeds and many more oil seeds. 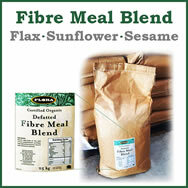 Highest quality defatted seed cake, contains organic seed pulps of Flax, sunflower and sesame seed. Certified organic by QAI, from Canada.